Arizona K-12 district classroom spending has held steady at 53.8 percent for the past two years, and Arizona continues to spend less than the national average on administration, according to a report released today by the State of Arizona Office of the Auditor General. Arizona’s spending on instruction is lower than the national average of 60.9 percent in part to Arizona’s larger class sizes, according to the Arizona School District Spending (Classroom Dollars) Fiscal Year 2014 report. 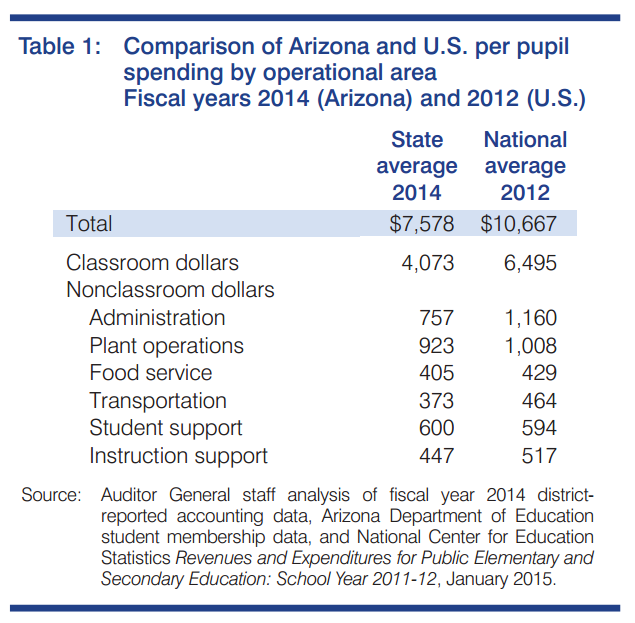 Arizona averaged 18.6 students per teacher compared to the national average of 16 students per teacher. All of the state’s 236 school district were included in calculating the 2014 statewide classroom spending percentage. Still, a number of Arizona school districts spent more in the classroom than the national average, including Gilbert Unified, Chandler Unified, Safford Unified, Pima Unified, Red Rock Elementary, Blue Elementary, Hillside Elementary, Aguila Elementary, Double Adobe Elementary, Bonita Elementary and Pima Accommodation School District. Crown King Elementary School District met the national average. 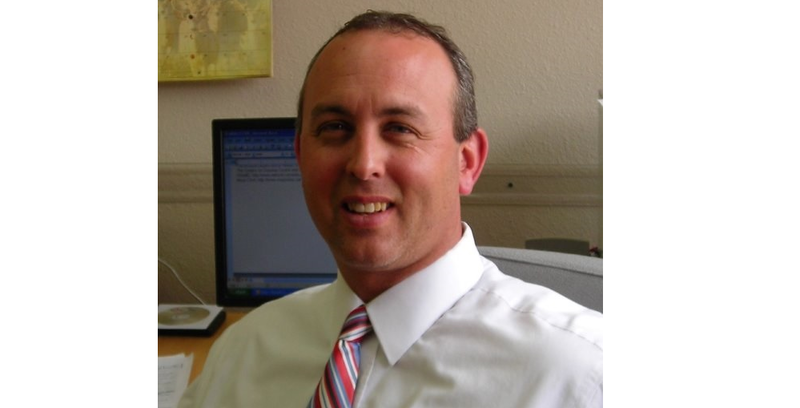 “We need to get away from comparing Arizona to the national average and decide in Arizona what we want classroom spending to be and develop a plan to do that,” said Chuck Essigs, director of governmental relations for Arizona Association of School Business Officials. The percentage of classroom spending has declined 1.2 percent nationally in the past 13 years and decreased by 3.9 percent in Arizona during the same time frame, Essigs said. Superintendent of Public Education Diane Douglas said she appreciates the work of Arizona’s public district and charter schools. Douglas noted that the Arizona numbers are based on 2014, while the most current national numbers are from 2012. Essigs noted he has serious concerns about some of the other states’ reported classroom spending percentages. Classroom spending includes salaries and benefits for teachers, teachers’ aides, substitute teachers, graders, and guest lecturers. It also includes educational supplies such as paper, pencils, crayons. Instructional aids are also part of the classroom spending total with textbooks, workbooks, software, films, and more. 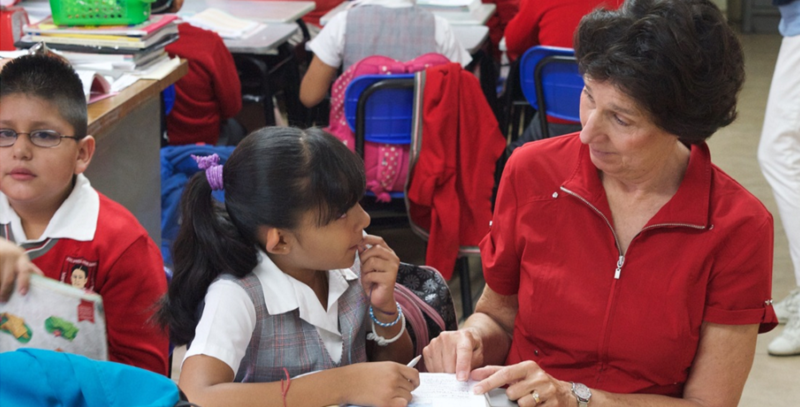 Classtoom spending also includes activities such as field trips, athletics, and co-curricular activities, such as choir and band and tuition paid to out-of-state and private institutions. 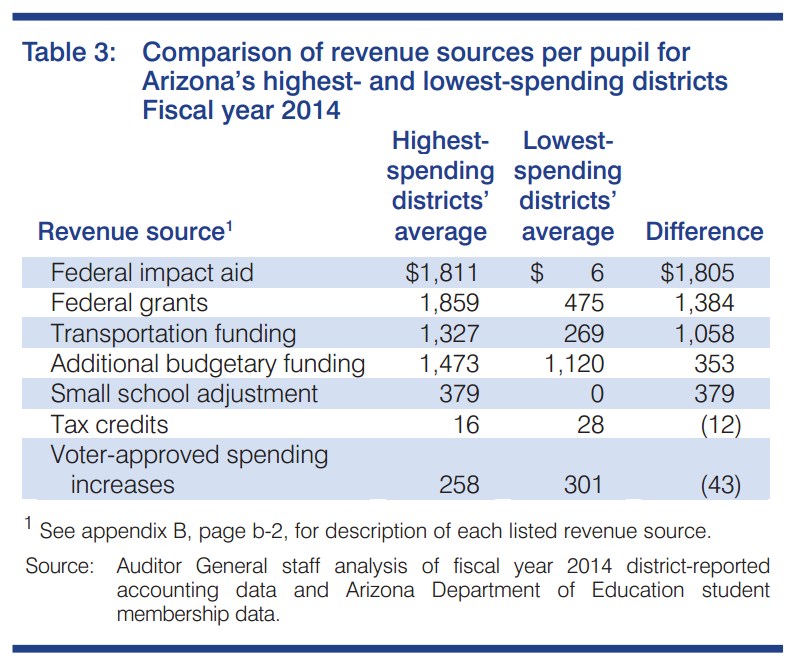 Arizona district schools spent less than the national average on administration by paying lower salaries and employing fewer administrators and support staff. 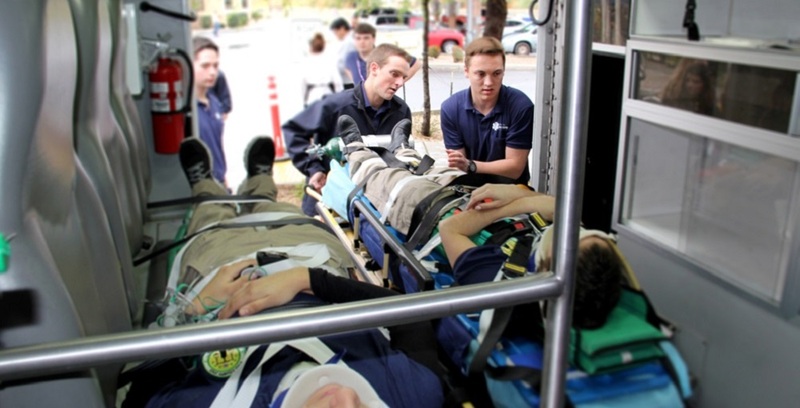 The report noted that more efficient districts monitored performance and used staffing formulas, while less-efficient districts had more expensive benefit packages and higher staffing levels. “We see this as a success for Arizona as school districts focus on more money to support students and instruction as a whole, compared to the national average,” Ogle said. 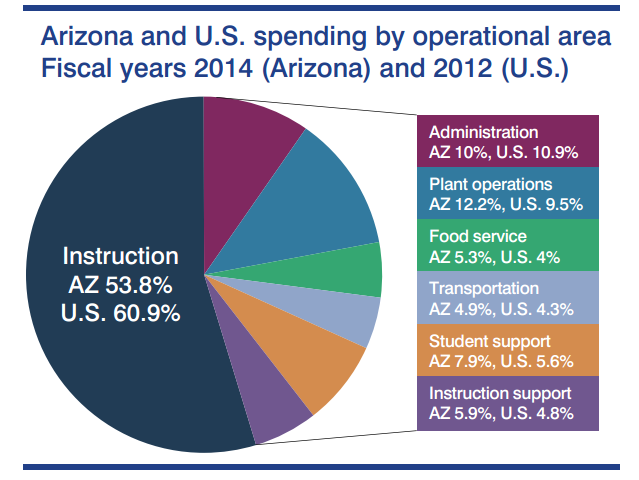 Arizona district schools spent more than the national average on energy due to the state’s harsher climate. More efficient districts had energy conservation plans and monitored performance, including building capacity use, while less-efficient districts operated schools far below capacity and did not monitor energy consumption, according to the report. The state spent more on support services because of the state’s higher poverty rate of 24 percent of students in 2013. Support services are often directed toward students living below the poverty level and those with special needs. 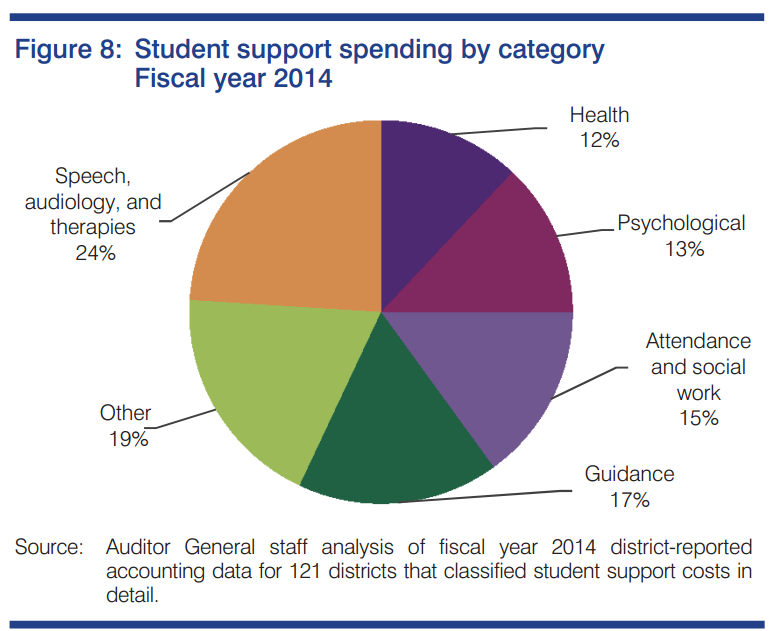 Eighty three percent of student support services were for the salaries and benefits of attendance clerks, social workers, guidance counselors, nurses, and specialists such as audiologists and speech pathologists. Fourteen percent went towards services from contracted vendors, and three percent were for supplies, according to the report. A higher percentage of students met state standards for reading and writing on the AIMS in 2014 than in 2012 and 2013, according to the report. The percentage of student who met state standards for math declined slightly from 2013, but remained above 2012. Students who met science standards on AIMS in 2014 declined from both 2013 and 2012 levels. 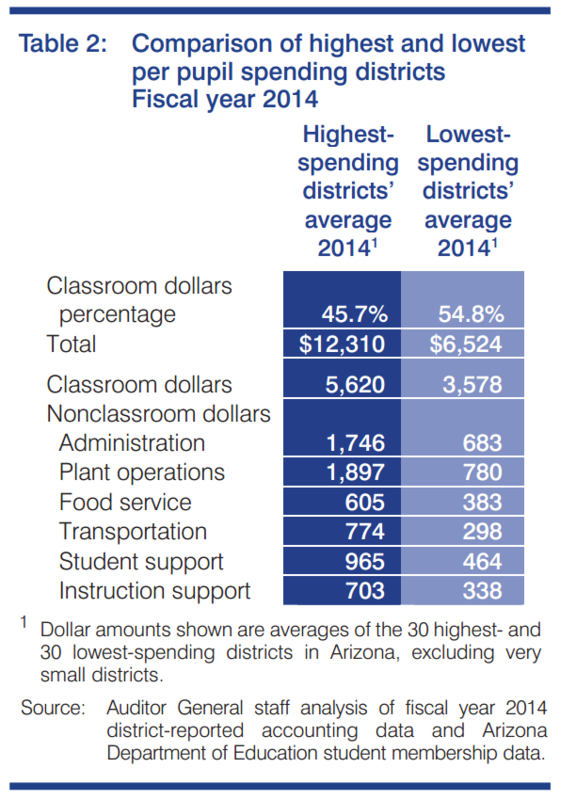 Arizona district schools spent more on transportation due to higher gas prices and more miles transporting special education students. Also, Arizona has 80 districts in towns, rural areas, cities and suburbs where buses travel more than 260 miles per rider in fiscal year 2014. That’s 33.89 percent of the 236 public school districts in Arizona. More efficient districts adjusted routes to ensure buses were full, while less-efficient districts paid drivers for time not spent working and failed to monitor vendors for billing and performance. 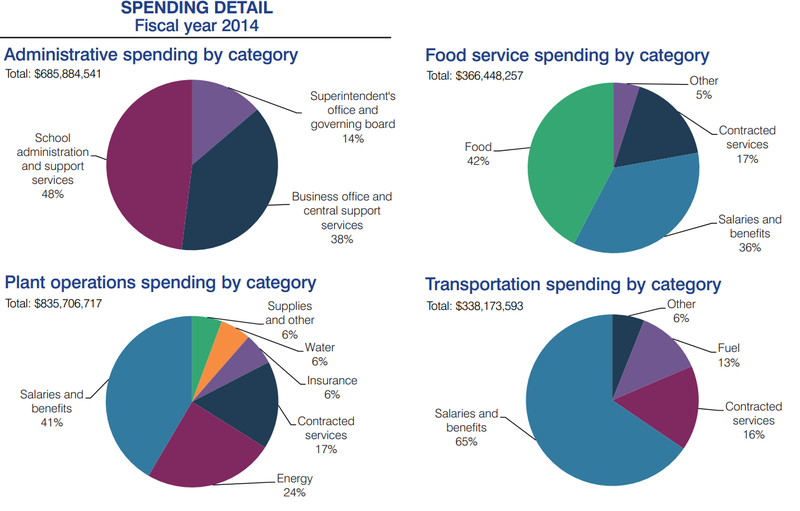 Schools spent more on food service due to increased food costs. The report noted that more efficient districts maximized use of free federal commodities and limited waste by closely monitoring production and usage, while less-efficient districts did not obtain the best food prices and had poorly written vendor contracts. 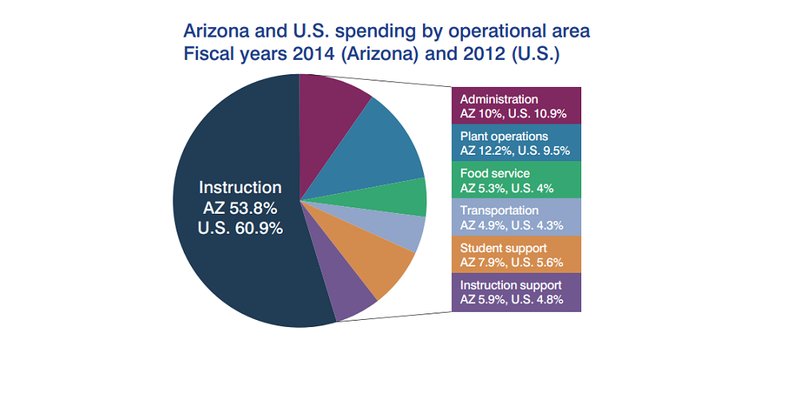 Arizona schools also spent more than the national average on instructional support mostly to improve instruction, train staff and develop curriculum and instructional materials. The report also includes information for all districts throughout the state on classroom and other spending, AIMS results, attendance rates, the number of students at the poverty rate, food service cost per meal, transportation costs per mile and per rider, plant operations cost per square foot, and average teacher salaries, average years of teacher experience and the percentage of teachers in their first three years of teaching. Also in the report is a financial stress assessment that measures the change in the number of district students, operating capital overspending, spending increase election results, operating reserve percentage, years of capital reserve held and financial and internal control status. The assessment examines district financial stress for a three-year period from 2012 to 2014 for 208 districts and includes election results during those years as well. While nine district showed high financial stress, similar to the year before, 48 districts had moderate stress and 151 district had low stress. Compared to last year, 25 districts had less financial stress and 18 districts had more. Decreases in student enrollment and overspending increased districts’ financial stress, while voter-approved budget overrides and bond authorizations decreased districts’ financial stress.